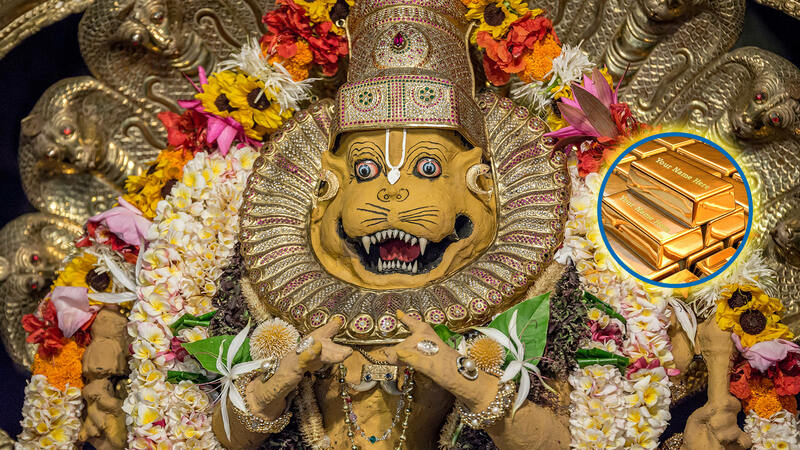 Sponsor a Nrsimhadeva Tile and make Prahlad Maharaj smile. Inscribe your name in the altar of the Golden Avatar. "...One exceedingly wonderful temple (adbhuta-mandira) will appear from which Gauranga's eternal service will be preached everywhere." One of his many gifts to his followers, and the entire world, was his detailed vision for the Temple of the Vedic Planetarium. 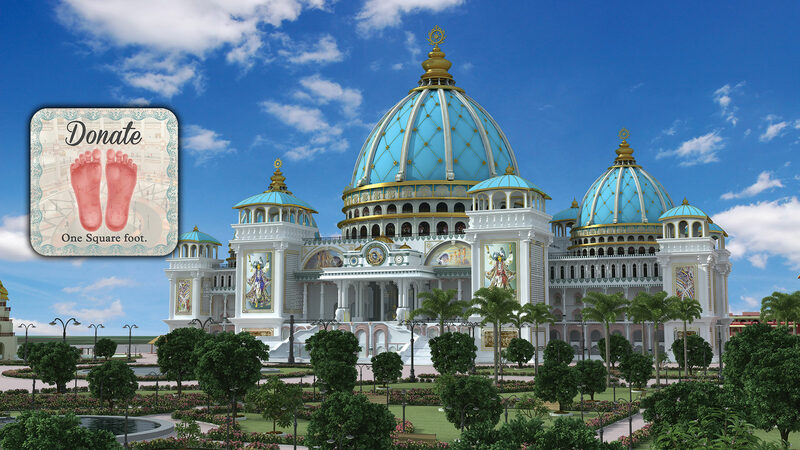 Contribute to the development and construction of the Temple of the Vedic Planetarium! GET INVOLVED! 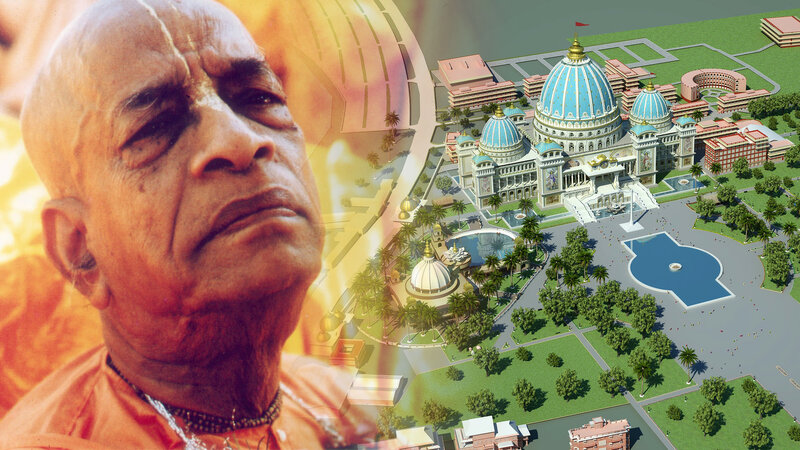 PLEDGE YOUR SUPPORT FOR THE TOVP AND MAKE SRILA PRABHUPADA'S DESIRE COME TRUE. 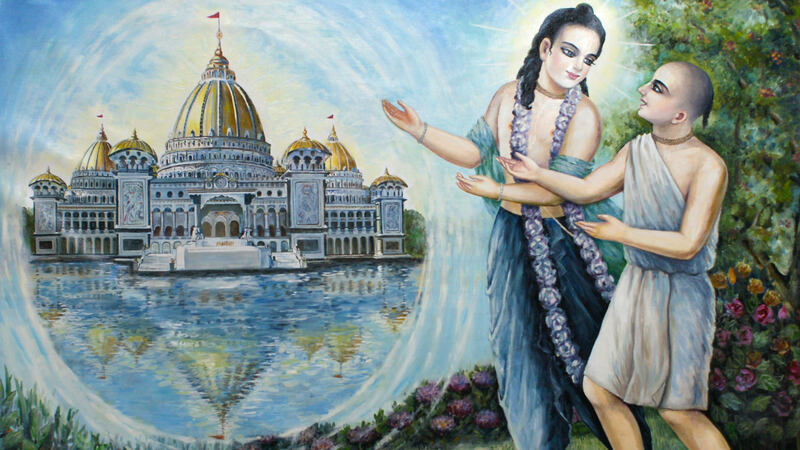 Find out how you can help the Temple of the Vedic Planetarium. 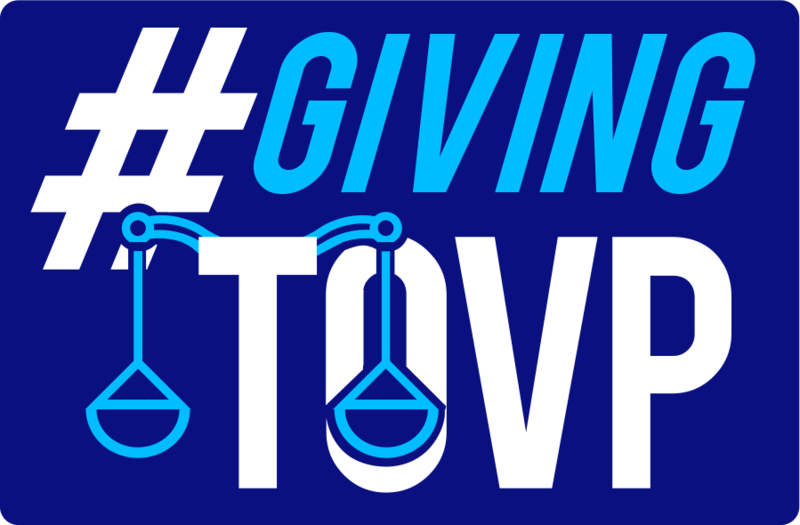 The countdown to the official TOVP Grand Opening has begun. Don't miss this once-in-a-lifetime spiritual opportunity to build Lord Caitanya's wonderful temple, the adbhuta mandir. 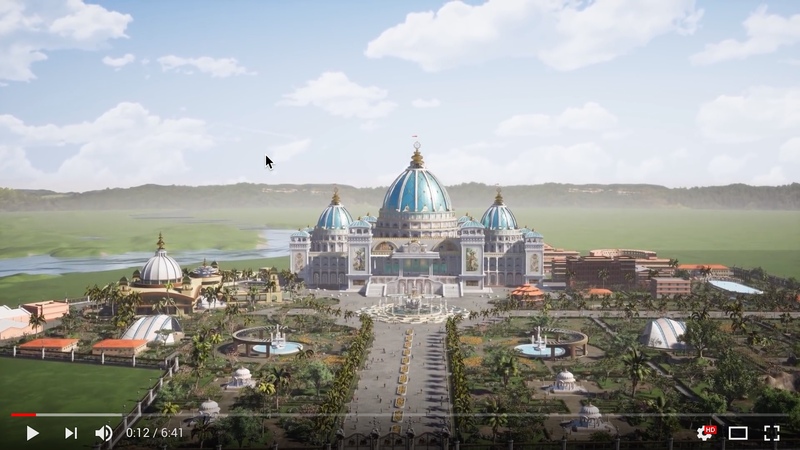 In a moment of extreme compassion and urgency Srila Prabhupada said, "My idea is to attract the people of the WHOLE world to Mayapur". Now that time is fast approaching and the official date of the TOVP Grand Opening in 2022 is TO BE ANNOUNCED SHORTLY. 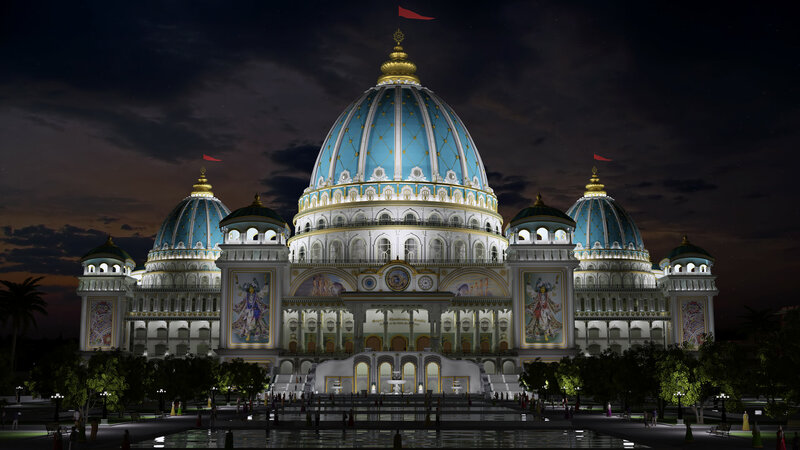 We have less than four years to complete this monumental project, one which will change the course of human history for generations into the future by dispelling the darkness of ignorance in the world and opening the flood gates of Krishna consciousness to all human society. Time is of the essence and it's essential we all work and pray together cooperatively as a worldwide community to insure the TOVP is completed for the pleasure, glory and victory of Srila Prabhupada. This is our combined offering to him out of gratitude for the great eternal gift he has given to us, and we will all be blessed in the process of serving him, our acharyas and Lord Gauranga's holy place of Sridhama Mayapur. The below TOVP Fundmeters represent the actual income and projected funds needed to complete Phase Two of the TOVP construction and reach our goal to combinedly offer Srila Prabhupada the completed project by Gaur Purnima, 2022. Together let’s all do our part to keep the meters in the 'Green Zone'! Although our actual 4-year budget is $50M, the $35M goal indicated is what we expect to raise from devotees worldwide in keeping with our motto, "Raising Lord Caitanya's temple by the hands of every devotee". The $15M balance will be raised from well-wishers. 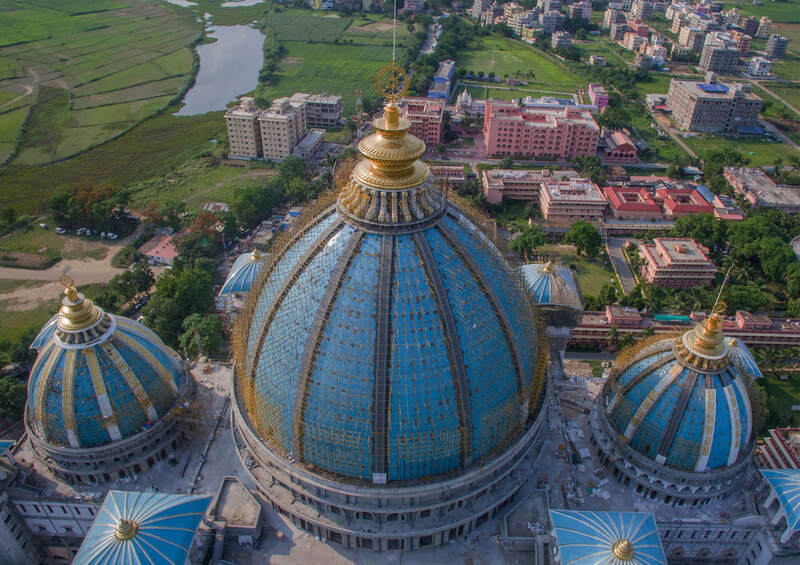 Welcome to the 360° interactive panoramic presentation of the construction site of the largest temple in the world, the Temple of the Vedic Planetarium (TOVP) in Mayapur, West Bengal/India. 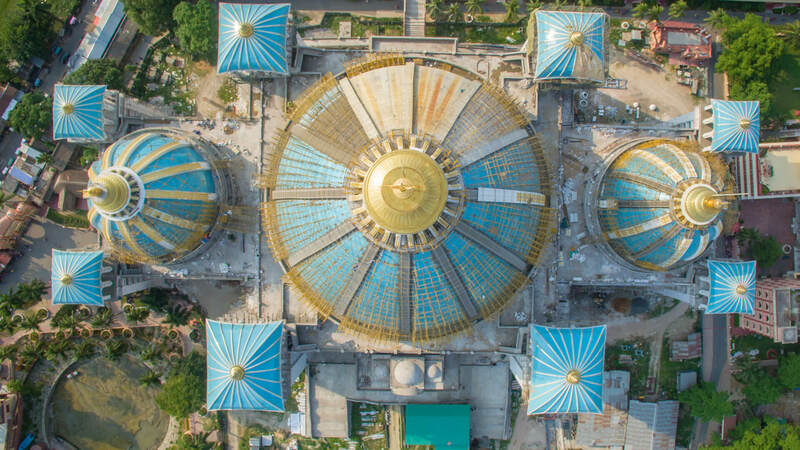 Our panoramas will guide you through every corner of this magnificent temple – its vastness and fine architectural details will leave you amazed. Walk inside and through the TOVP construction site from the ground floor to the highest dome, and even up into the air. You can see 360 degrees all around you, above and beneath you, to get a feel of this sacred space. 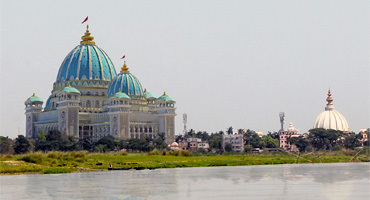 My idea is to attract people of the whole world to Mayapur. 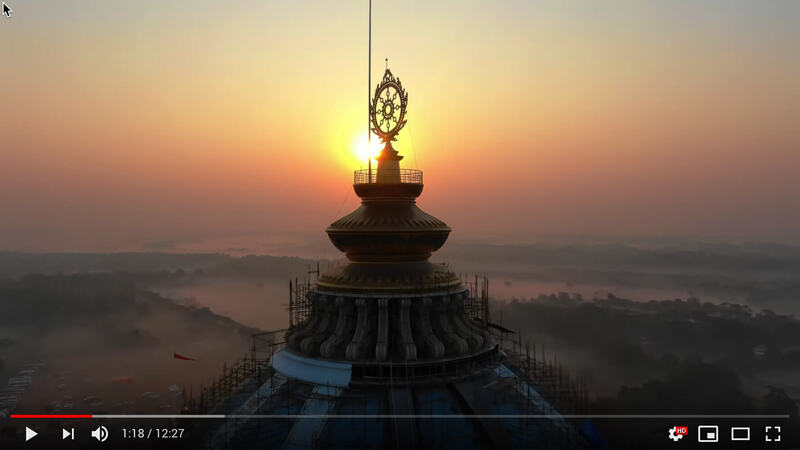 Now here in India we are constructing a very large Vedic Planetarium...within the planetarium we will construct a huge, detailed model of the universe as described in the text of the fifth canto of Srimad Bhagavatam. Within the planetarium the model will be studied by onlookers from different levels by use of escalators. 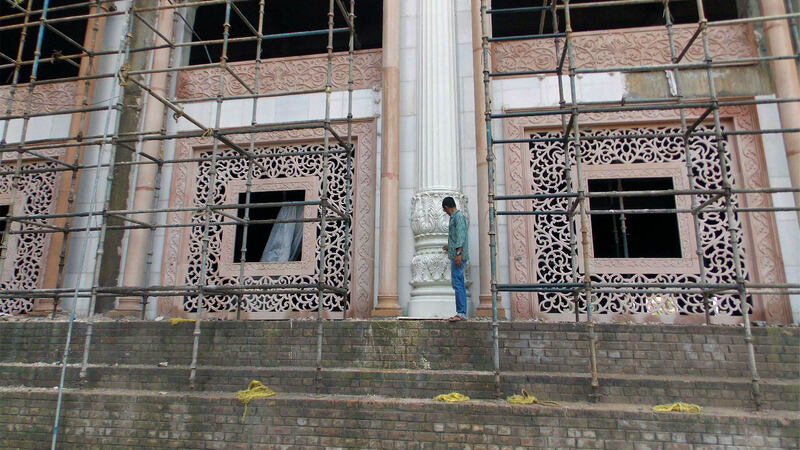 Detailed information will be given on open verandahs at the different levels by means of dioramas, charts, films etc. ...We shall show the Vedic conception of planetary system within this material world and above the material world…We are going to exhibit the Vedic culture throughout the whole world, and they’ll come here. Now you all together make this Vedic Planetarium very nice, so that people will come and see. From the description of the Srmad-Bhagavatam, you prepare this Vedic Planetarium. Sources (of funds) means we get contributions from all over the world. All of our branches will gladly contribute. Practically this institution is the real U.N. We have the co-operation from all nations, all religions, all communities, etc. It will be an international institute. To see the Planetarium and how things are universally situated has nothing to do with sectarian ideas. It is a scientific presentation of spiritual life. 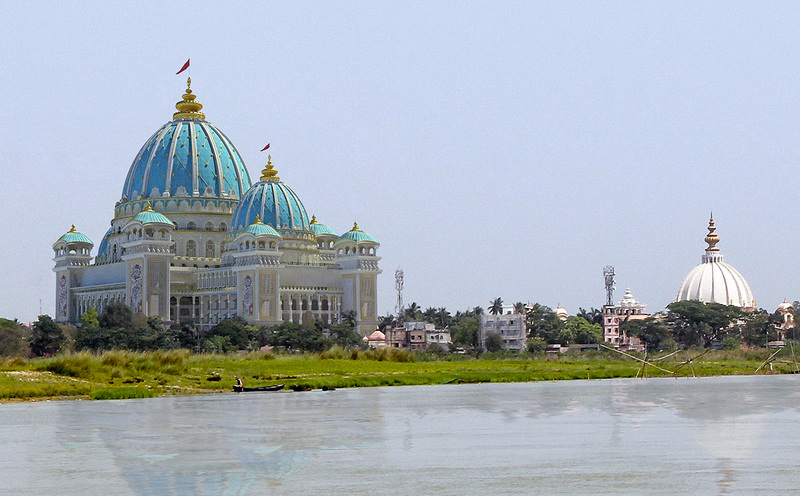 We are going to have a very big project at Mayapur. We have to acquire 350 acres of land from the Government and construct a spiritual town... The plans and contemplations are going on in different phases, now when Caitanya Mahaprabhu will be pleased it will be taken up. Actually it will be an unique thing in the world. There is no such thing all over the world. That we shall do. And not only simply showing museum, but educating people to that idea. 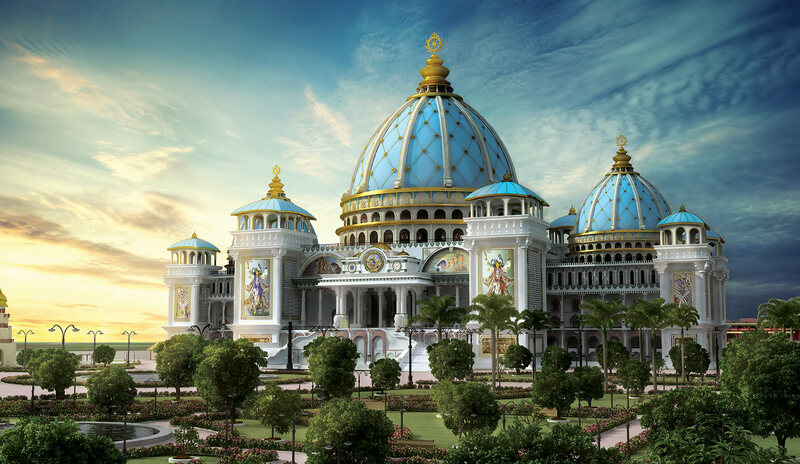 Yes, we shall personally supervise everything there at Mayapur, instead of giving everything to contractor. The engineer may simply see that things are being done properly and we shall see that the labor is working properly. Purchase first-class building materials, then there will be first-class building. 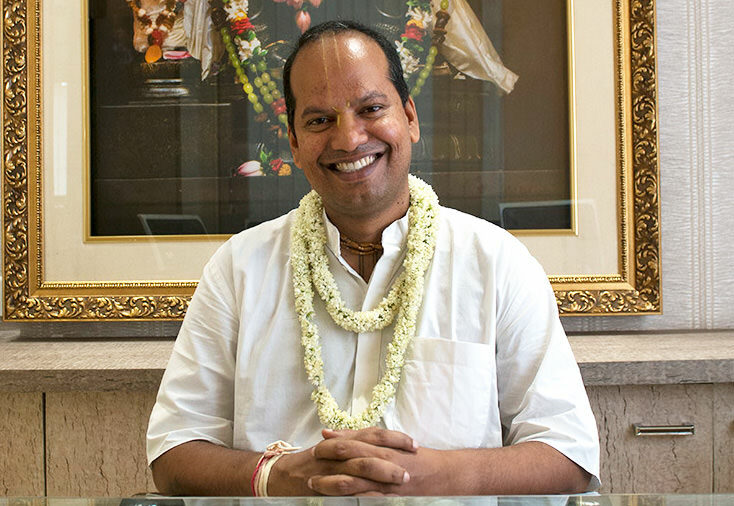 An update by Sadbhuja Prabhu, the TOVP Managing Director. 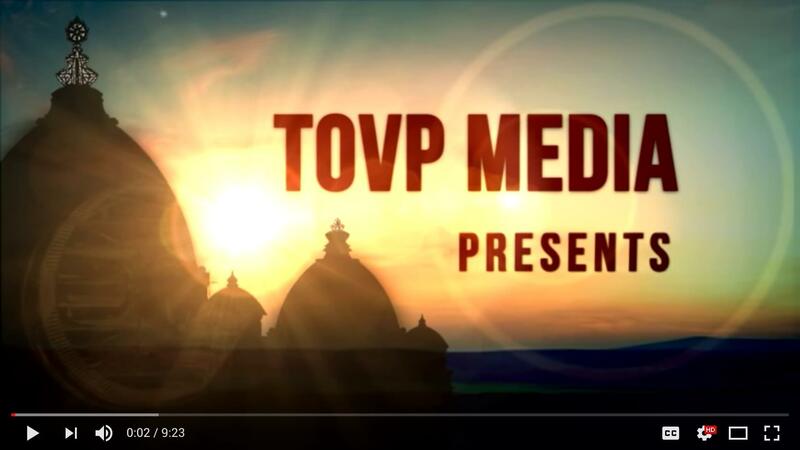 A beautiful 3D animation of the completed TOVP and surrounding areas. The TOVP fulfills a divine prophecy made 500 years ago. DONATE GENEROUSLY FOR THE MISSION 22 CAMPAIGN! Pledge Your Support for the MISSION 22 Marathon NOW! I wish to thank from the bottom of my heart all the worldwide donors and supporters of the TOVP who, for the last nine years, have inspired me with their devotion and love for Srila Prabhupada's mission and the TOVP. 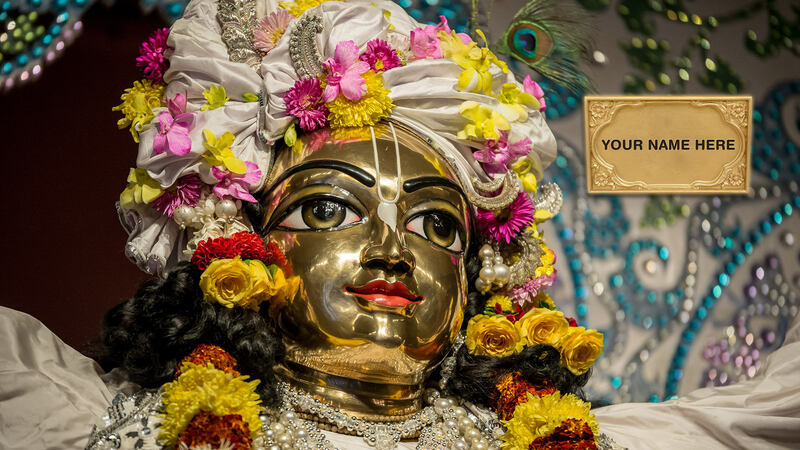 I am eternally grateful and you will undoubtedly be blessed for your service to Sridhama Mayapur. 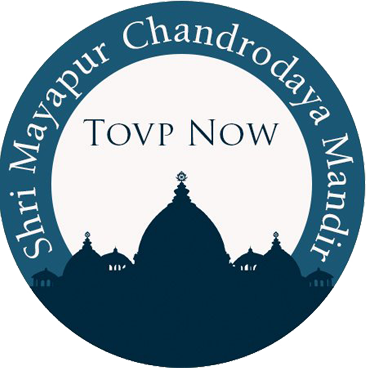 If you have not yet made a pledge or a donation, this is the time now to help and to solidify your relationship with Sridhama Mayapur and the TOVP project. 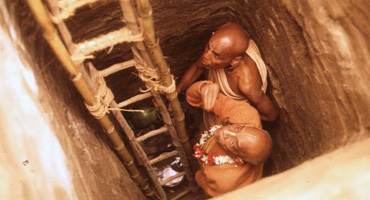 There are less than four years left to complete Srila Prabhupada’s dear most project by the Grand Opening date of 2022. And there is still much work to do. The MISSION 22 marathon is in full force and we need your help now more than ever to reach our common goal. For the next two years we require $10 million annually and $15 million total thereafter, making a grand total of $35 million to complete the project. Click here to make your pledge and donate today! 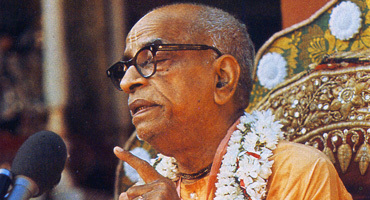 These are the words of His Divine Grace A. C. Bhaktivedanta Swami Prabhupada, who also said, “Vrindaban is my home and Bombay is my office”. 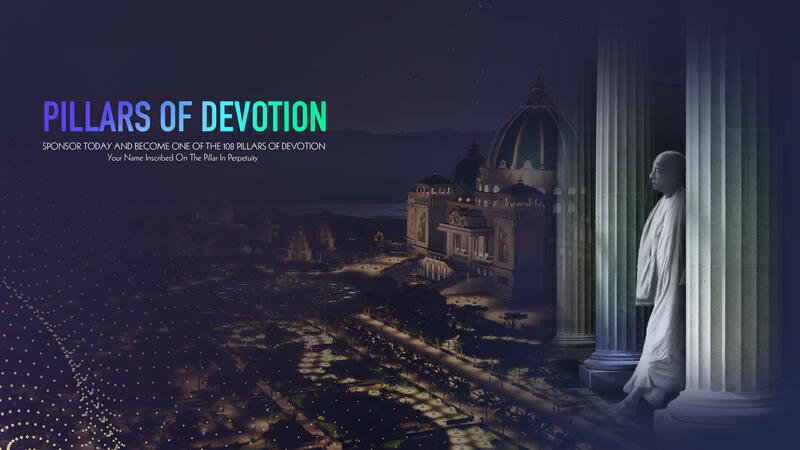 The TOVP Team has published a book by the above name with selected excerpts about the spiritual power of this holiest of sacred places and the manifestation of the Temple of the Vedic Planetarium. E-book version can be downloaded by clicking the button below. Please copy and print this beautiful drawing of the TOVP for your Temple and/or home altars. Use the link below to download the photo. 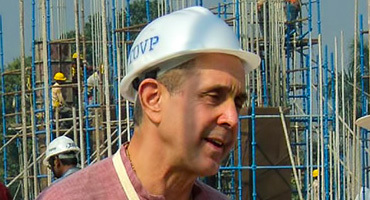 This is a photo of the TOVP that shows its actual size and dimensions once completed, when compared to Srila Prabhupada's Pushpa Samadhi. 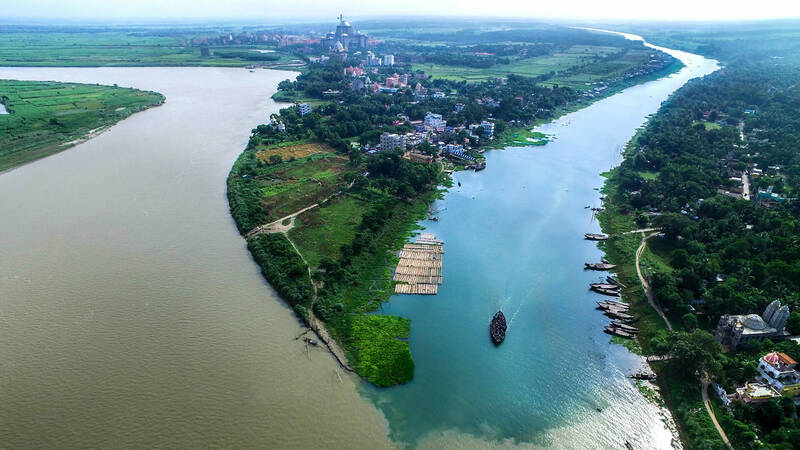 Both will be connected by a special bridge crossing above the TOVP gardens, and both represent the crown jewels of the ISKCON Mayapur project.